High performance, reliable storage. With built-in 10 Gigabit Ethernet Port. 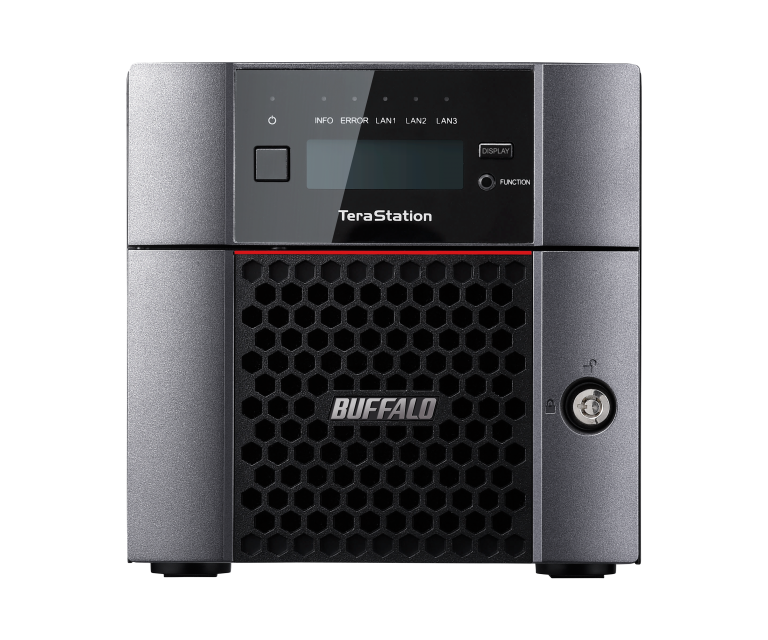 Buffalo’s TeraStation 5210DN series is a high performance 2-bay network storage solution ideal for businesses and demanding users requiring a reliable RAID-based network storage solution for business critical applications. 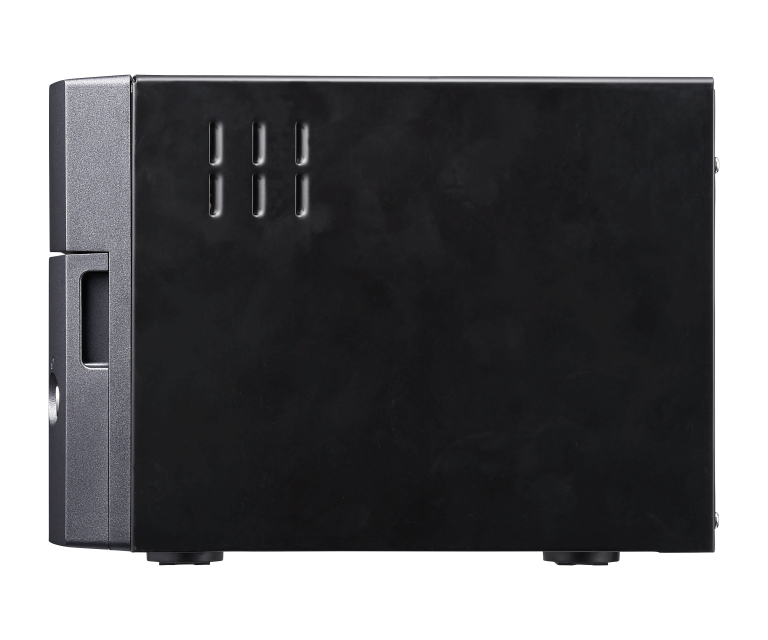 Increased speed and reliability is achieved with a 10GbE connection and hard drives built for always-on NAS devices. 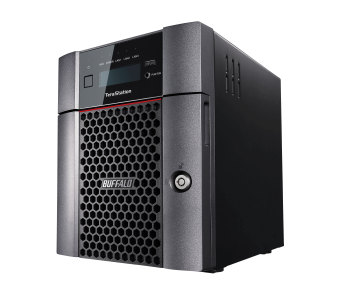 With the powerful Annapurna Labs® Alpine AL314 1.7Ghz Quad-Core processor, TeraStation 5210DN provides exceptional performance during file transfers and everyday NAS functions. 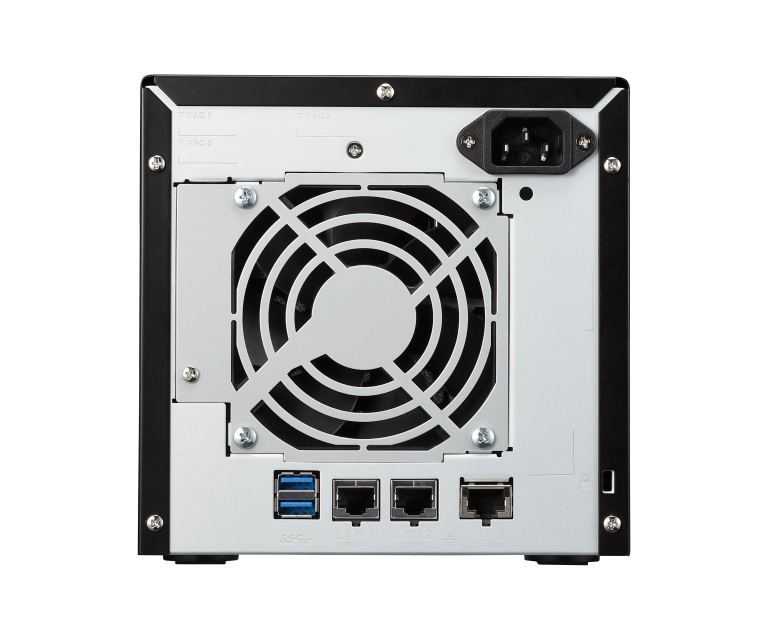 With this device you are supported by VMware if you have an ESX problem because this NAS device is VM-ready for NFS and iSCSI. Buffalo’s TeraStation Series features B-Sync, which allows users to easily synchronize files between their TeraStation and Dropbox and make backups. 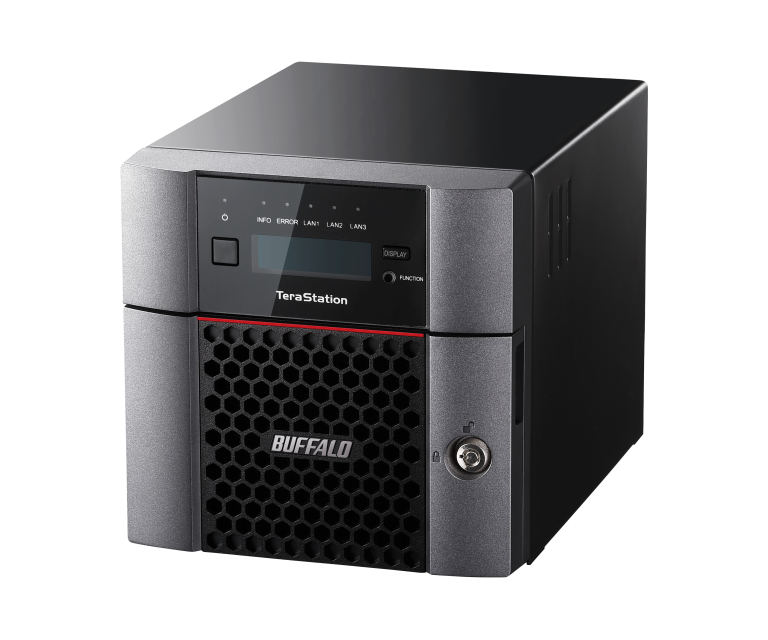 The Buffalo NAS also supports Amazon S3 Cloud Services. The 10GbE connectivity impresses with exceptional speed. 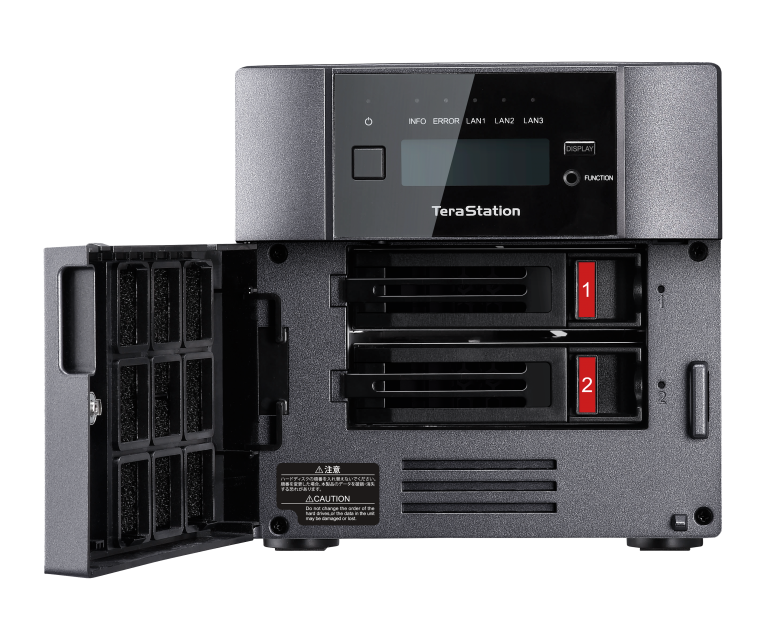 Users can make backup copies from TeraStation to a rsync-compatible device from another manufacturer. 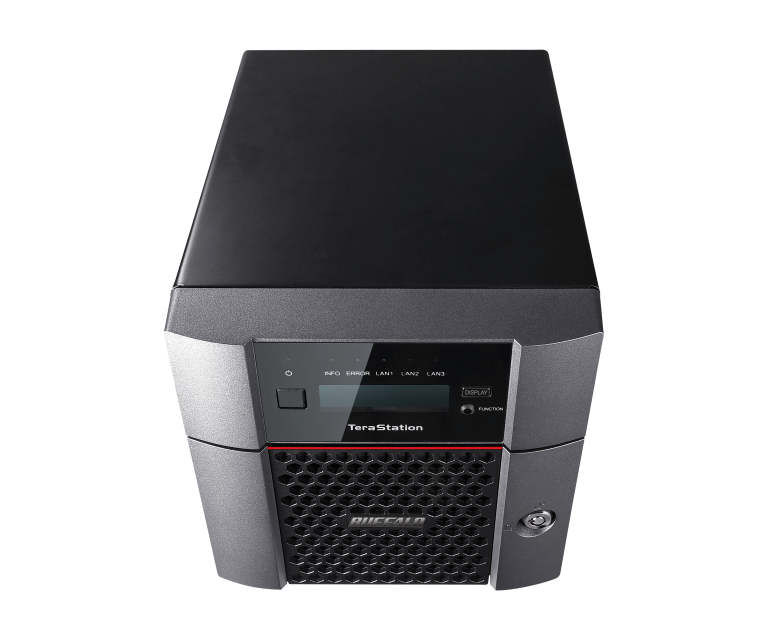 This function also allows backups to be made from another manufacturer’s rsync-compatible NAS to the TeraStation NAS. 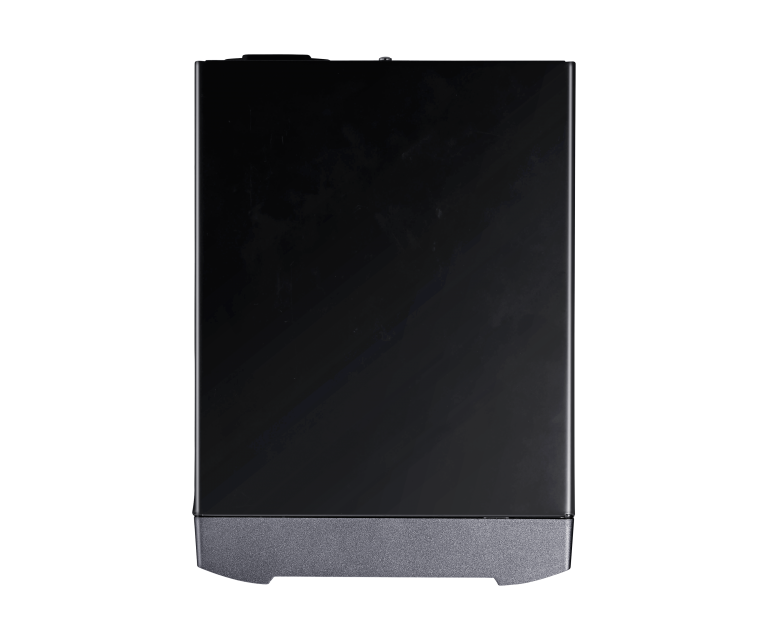 If you want to replace a defective hard disk, just let us know. If your order is in the system before 12 noon and the hard drives are in stock, they will be replaced within 24 hours. 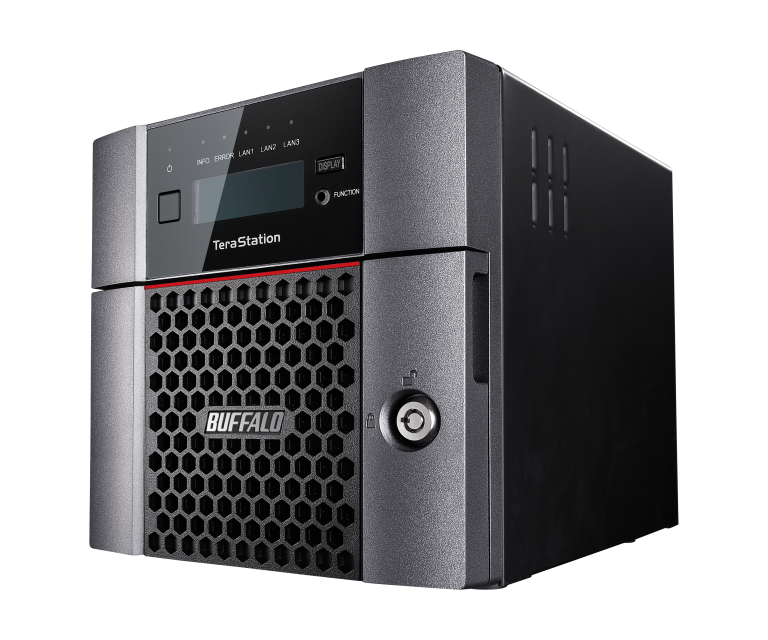 Applies within the 3 year warranty for each TeraStation and LinkStation NVR sold in the EU. (Outside the EU it can take longer). 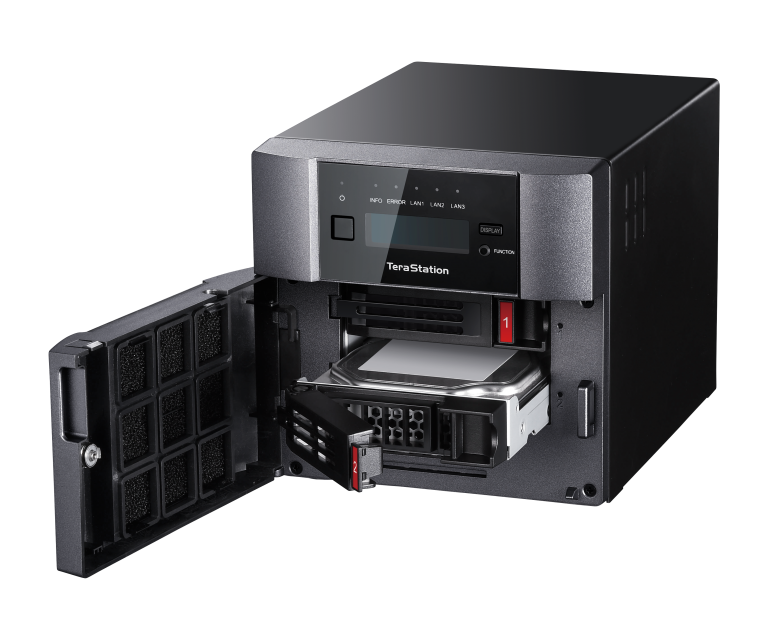 With the hot swap function, the TeraStation™ automatically switches off the defective hard disk even if one hard disk fails, so that it can be replaced safely without interrupting work or losing data. The web interface has a dashboard that offers the user more effective views of system status, the ability to resize windows (even on the phone) and a more comfortable button layout. By replication, a folder in two separate TeraStations™ is synchronized almost in real time. This only happens in one direction (not bi-directional) – from the source to the destination. This function can be set up in LAN and WAN. WAN setup includes remote connection via port forwarding and VPN setup. 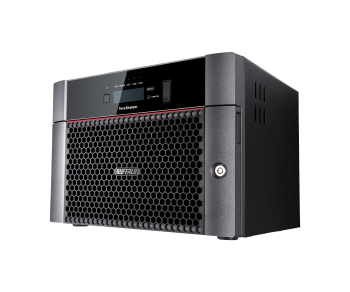 This series is completely equipped with special NAS hard drives – for even more performance and reliability in RAID and continuous operation. Works simultaneously as NAS and iSCSI target. Including 11 licenses NovaBACKUP® Buffalo Edition software. 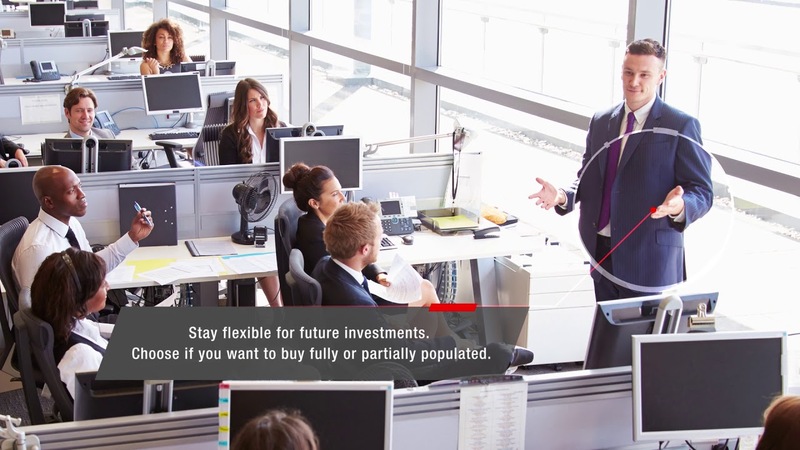 NovaBACKUP® provides small and medium-sized companies that value the protection of their digital data with a complete data security solution in one package. Hard disk quotas prevent the misuse of storage space by allocating appropriate amounts of storage to users. Faster transfer of large files, faster file access from multiple computers. Built for small and medium businesses that are seeking a user-friendly and cost-effective 10GbE platform. High Performance, reliable storage. With built-in 10GBE Port, 3 USB 3.0 ports and 4 GB RAM. Great value, high performance. 2 bay business NAS. Finally, a value Switch scalable to 10 GbE. 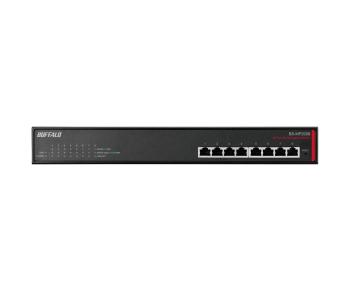 10Gigabit Layer2 Switches. 1TB = 1, 000, 000, 000, 000 Bytes. Actual data throughput will vary depending upon environment factor.